Recently, statistical distributions have been explored to provide estimates of the mineralogical diversity of Earth, and Earth-like planets. In this paper, a Bayesian approach is introduced to estimate Earth’s undiscovered mineralogical diversity. Samples are generated from a posterior distribution of the model parameters using Markov chain Monte Carlo simulations such that estimates and inference are directly obtained. It was previously shown that the mineral species frequency distribution conforms to a generalized inverse Gauss–Poisson (GIGP) large number of rare events model. Even though the model fit was good, the population size estimate obtained by using this model was found to be unreasonably low by mineralogists. In this paper, several zero-truncated, mixed Poisson distributions are fitted and compared, where the Poisson-lognormal distribution is found to provide the best fit. Subsequently, the population size estimates obtained by Bayesian methods are compared to the empirical Bayes estimates. Species accumulation curves are constructed and employed to estimate the population size as a function of sampling size. 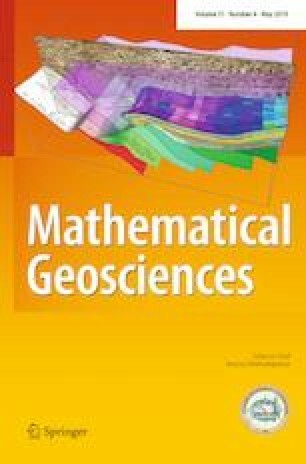 Finally, the relative abundances, and hence the occurrence probabilities of species in a random sample, are calculated numerically for all mineral species in Earth’s crust using the Poisson-lognormal distribution. These calculations are connected and compared to the calculations obtained in a previous paper using the GIGP model for which mineralogical criteria of an Earth-like planet were given. The online version of this article ( https://doi.org/10.1007/s11004-019-09795-8) contains supplementary material, which is available to authorized users. We would like to thank the reviewers for their valuable comments to improve the paper. We gratefully acknowledge support from NASA Mars Science Laboratory Mission NNX11AP82A, as well as support from the Alfred P. Sloan Foundation (Grant No. 2013-10-01), the W.M. Keck Foundation (Grant No. 140002372), the John Templeton Foundation (Grant No. 60645), the Deep Carbon Observatory, the Carnegie Institution for Science, and an anonymous private foundation.